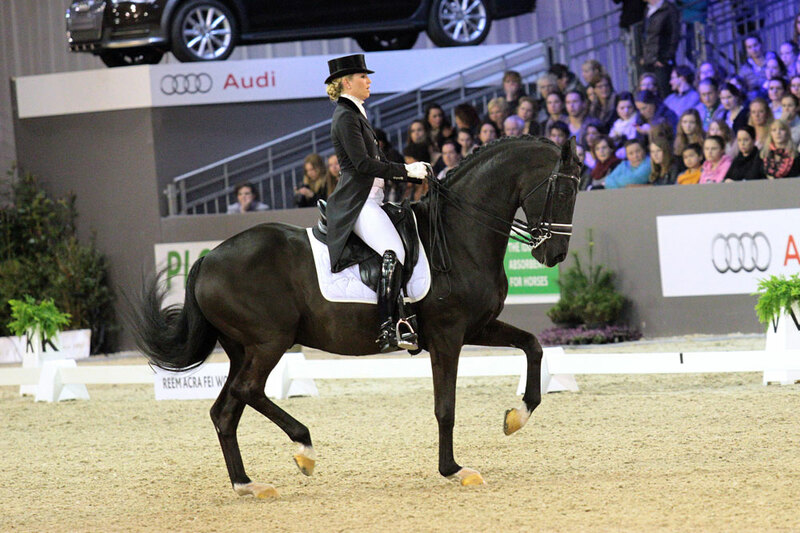 Charming Lady set the record price of 700,000 euros on the Excellent Dressage Sales last night. The twelve-year-old elite mare, who competed with Jeanine Nieuwenhuis in the Grand Prix, has found a new owner in Germany. The daughter of our preferent top producer Painted Black (Gribaldi x Ferro) was a true audience favorite. This very talented mare, who showed an enormous amount of quality in her piaffe and passage tour, offered fast.